I thought I'd post another photo of this gravestone, belonging to Henry and Ivy Hodgson - not because I know them, but rather because while I was looking at this photo, noticing the light reflecting off the lens, I realised I could make out the name on the headstone. I wondered who Mr and Mrs Hodgson were and thought I'd use Google to see if I could find out. When searching for their names, the first hit on Google was to the Genealogical Society's website, and a photo of this exact headstone. Isn't it nice that people actually take the time to walk around graveyards, taking photos of the headstones, and then spend the hours afterwards uploading and tagging the photos? However permanent we think headstones are, they're not necessarily as permanent as we may hope, and it's really nice that sites like this archive the memories, making them both more permanent and easily accessible. Posted in General and tagged flowers, graves, gravestone on Friday, 4 April, 2014 by Paul. 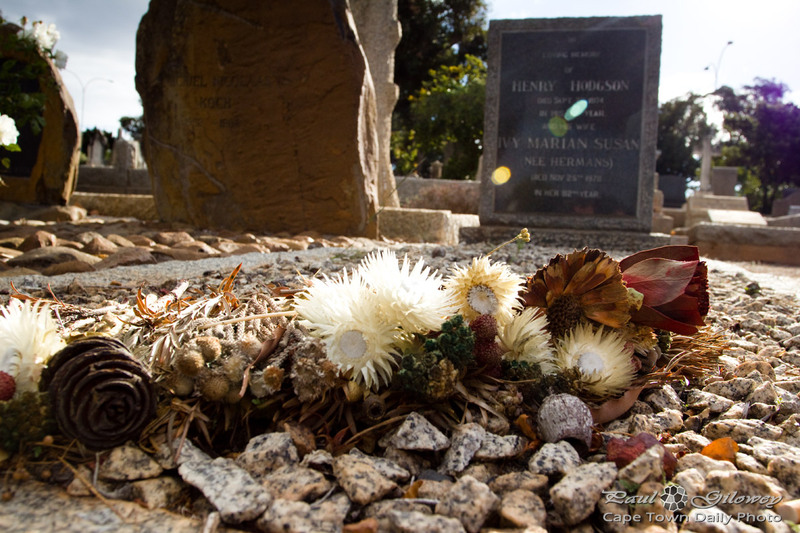 I recently took a walk through Stellenbosch cemetery. The trip yielded so many interesting thoughts about life, death, and the living's memorial thereof that I've decided to post a few photos that show different aspects of the cemetery. Don't allow yourself to get all depressed - but do take a moment to reflect on the meaning of life as you view this series of photos. 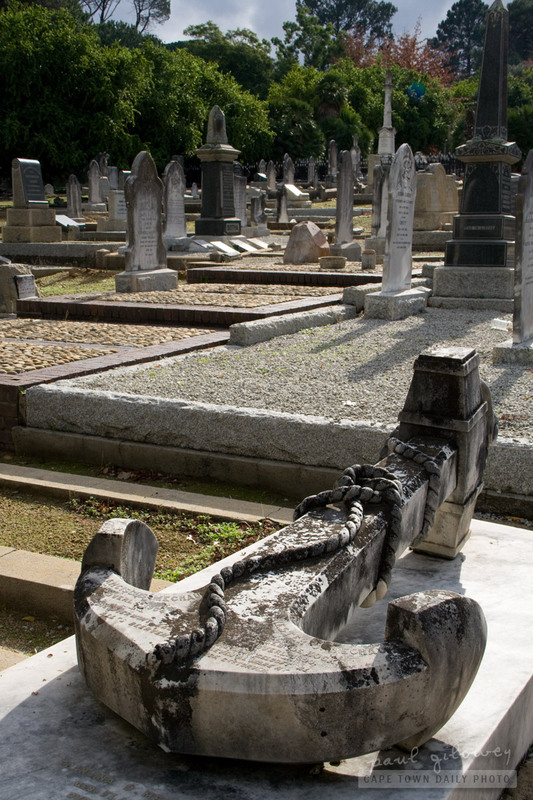 Posted in General and tagged anchor, cemetary, graves on Tuesday, 31 May, 2011 by Paul.